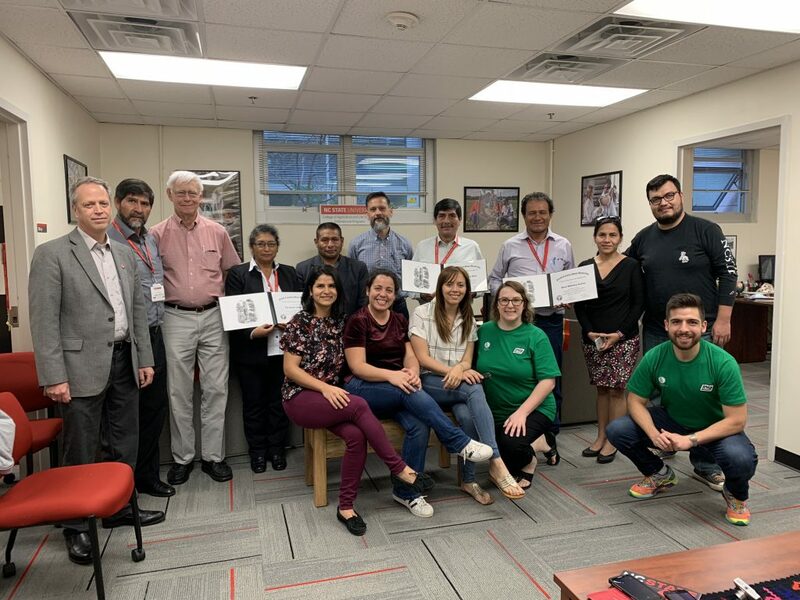 Feeling re-energized, the fellows from INIA (Instituto Nacional de Innovacion Agraria – National Institute for Agrarian Innovation) have returned home after a two-week long intensive training. 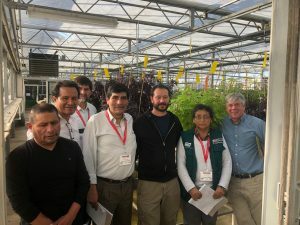 Global Academy and CREdO (Connecting Research Education and Outreach) hosted a training on several topics, including climate change, research methods, soil nutrition, potato agriculture and extension. 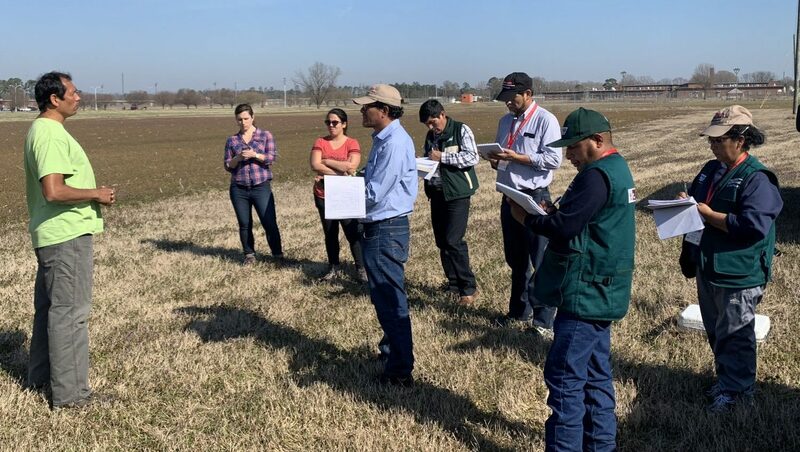 During this training the fellows were able to visit private potato farms, extension agencies, and interact with faculty and researchers from several departments including Crop and Soil Sciences, Applied Ecology, Statistics and Entomology and Plant Pathology. 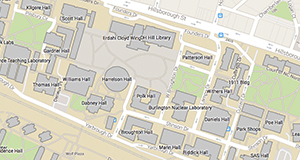 Although they all mentioned they wished their training had been longer, they were glad that they were able to come and learn about all the different types of research that is currently carried out at NC State. They also plan to keep in touch with all the people they interacted with, and intend to explore the possibility of collaborating with them. For example, the fellows who are specialists on potato were sent home with special cards to lift potato and late-blight (Phytophthora infestans) DNA for Dr. Jean Ristaino’s research. They are also hoping to invite some of our faculty to Peru to provide more detailed presentations at a workshop they will organize at the national level. Our office is excited to help coordinate this and future research and workshops at NCSU and in Peru. This is just the beginning of a long-lasting relationship between NC State and INIA.